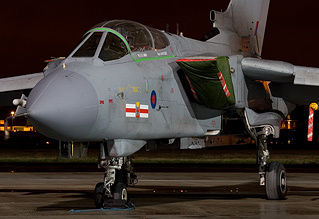 Well, yet another Northolt Nightshoot rolls around. This was the sixth in a series started in January 2009. Six events in 14 months - it's clear a lot of effort is expended by Phil Dawe and his team. It's not all for our benefit though; over £12,000 has now been raised from the nightshoots for the restoration of the Battle of Britain Ops Room at Northolt. £17,000 has been raised in total, with good progress being made on the project. Nick Challoner reports for UK Airshow Review. Additonal photos provided by Ben Hughes, Daniel & Graham Butcher. 166 photographers applied for tickets for this event, many more than the 60-70 that usually attend. This was mainly due to the fast jets that had been invited; three Tornado GR4A from 41 Sqn RAF, a Mirage 2000D from EC03.003 Armée de l'Air (French Air Force), and two Alpha Jets from EC02.002 Armée de l'Air. There was some concern that the event may lose its relaxed and spacious feel, but such concerns vanished on the evening due to amount of space available and, as ever, the good nature of all photographers present. There were also concerns about the weather, heightened by the thunderstorm that was in full swing as the gates opened at 1730. That soon passed, and apart from a brief spell of light rain the event enjoyed a dry evening. "A thoroughly enjoyable evening, with a good selection of aircraft"
Sadly the Mirage 2000D cancelled on the day due to poor weather. In dry conditions Northolt's runway was just long enough, but there was plenty of rain forecast on the day hence the cancellation. A Sécurité Civile Bombardier CL415 was planning to make its second attempt at attending a Northolt nightshoot (having attending the summer photocall in 2008), but the weather also forced its cancellation (presumably icing conditions en-route once again - the CL415 has no anti icing systems). Cancellations are always to be expected and don't reduce the enjoyment of the event. The other participants were the RAF 2010 display Hawk fresh out of the paint shop in new colour scheme, a DHFS A109E Power making a change from the 32(R) Sqn examples we are used to at Northolt, and a recently delivered Chinook HC3 from Odiham. The A109 powered up during the course of the evening providing good photo opportunities with lights on and rotors running. The Chinook departed later on during the event too, again providing an excellent chance for some interesting shots. Some of the aircraft were parked well back on the apron, making photography from the designated area a little tricky. This was apparently done to allow parking of other aircraft. However, the organisers allowed us to move forward near the end of the evening, which allowed for a great selection of angles and was very much appreciated. 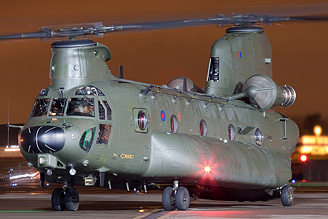 So once again a very enjoyable night was had at Northolt, with an exceptionally varied and interesting array of aircraft. Thanks must go to Phil Dawe and his team for organising the event, and to Grp Capt T A Barrett, RAF Northolt Station Commander, for enthusiastically allowing it to take place. 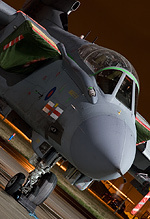 "Despite the rather disappointing weather late in the afternoon happily the latest Night Photoshoot had a record number of photographers attend and a nice selection of aircraft available as subject matter. 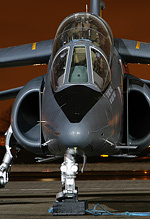 As the main fundraising source for the restoration of the 11 Group Z Sector Ops building at RAF Northolt, now known as the Sir Keith Park Building, it is a privilege to be involved in this drive toward its restoration and none of this would be possible without the support of the loyal band of followers of these events and the participating Squadrons. Our particular thanks go to OC 41 Squadron, OC 208 Sqn, Station Commander RAF Odiham and the French Air Attaché all of whom pulled out all the stops in support. We are grateful to UKAR for helping spread the word of these events and for showcasing the photographic results." Over on our forums, Phil has just announced details of Nightshoot VII to be held in September; clearly we will be there! Details of this year's summer photocall are also available on our forums.